The Federal Reserve completed its two-day meeting on Wednesday and announced that it will continue to taper off its bond-buying program (also known as Quantitative Easing or QE), citing an improving U.S. economy. The plan to end the program completely in October still stands. 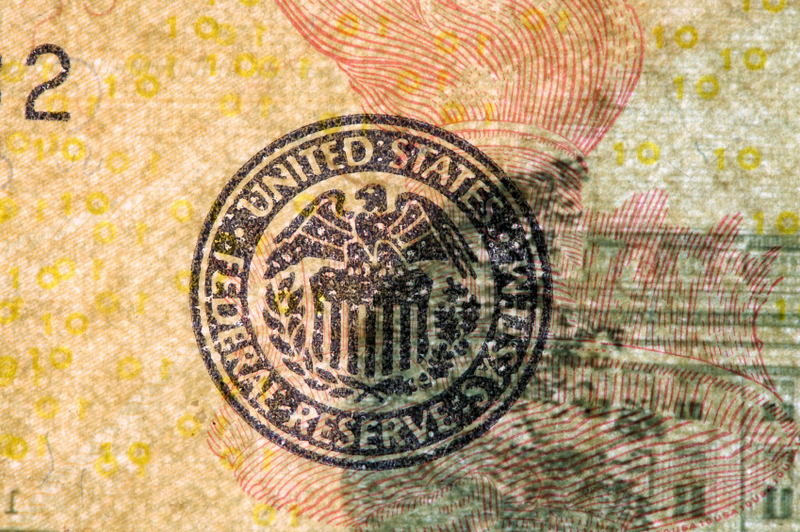 On July 30, 2014, the Federal Open Market Committee (FOMC) directed the Open Market Trading Desk (the Desk) at the Federal Reserve Bank of New York to purchase additional agency mortgage-backed securities (MBS) at a pace of about $10 billion per month and longer-term Treasury securities at a pace of about $15 billion per month, beginning in August 2014. The FOMC also directed the Desk to maintain its existing policies of reinvesting principal payments from the Federal Reserve’s holdings of agency debt and agency MBS in agency MBS and of rolling over maturing Treasury securities at auction. The Committee’s sizable and still-increasing holdings of longer-term securities should maintain downward pressure on longer-term interest rates, support mortgage markets, and help to make broader financial conditions more accommodative. This represents a reduction of $10 billion per month in total bonds and securities purchases. The move was expected, as the Fed had previously stated it would continue with its original plan provided the economy keeps showing signs of improvement. The Commerce Department reported this morning that GDP grew more than expected in Q2, which the Fed acknowledged in its statement. Unemployment, now at 6.1%, has been falling. Fed chair Janet Yellen is not completely satisfied with the unemployment numbers, however, noting that the numbers of long-term unemployed people and part-time workers who would prefer full-time work are still at historically high levels. She cautioned that “A range of labor market indicators suggests that there remains significant underutilization of labor resources.” The statement also mentioned that inflation has moved “somewhat closer” to the Fed’s target rate of 2%.